It was fun to build the ad that you see Long John holding. I did as much research as I could to amalgamate the different examples I came across into something that carried even a little bit of authenticity to the time. 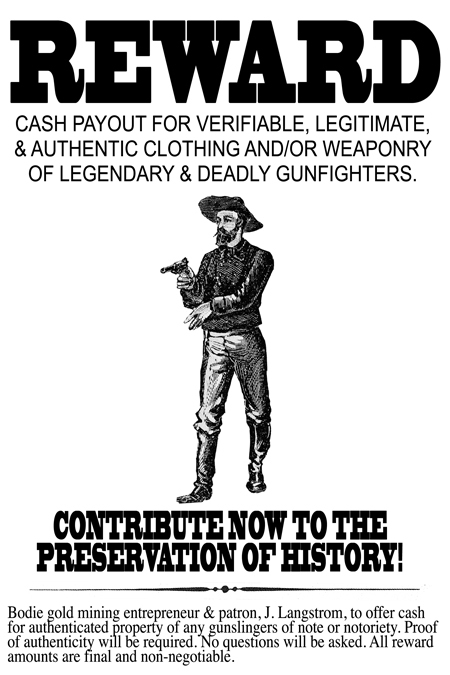 In the interest of full disclosure, I did not draw the gentleman gunslinger on the ad. I clipped it from an illustration done for Life and Times of Jesse and Frank James, a heretical biography of the famous brothers. 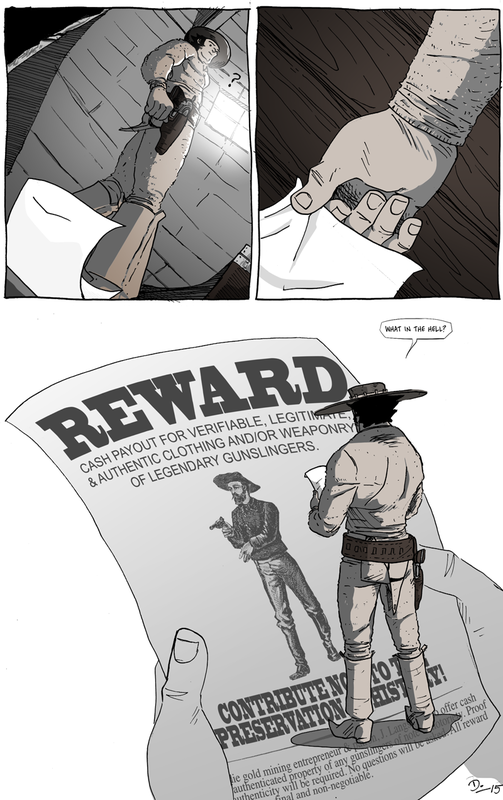 The image I have is found in the “Gunslingers” volume form the Time-Life series “The Old West.” Needless to say, I’ll undoubtedly replace the image with something I cook up when it comes time to print, just to avoid any sticky legal roadway. We’re about at the half-way point for Chapter 2, and next week may be devoid of any updates in an effort to stockpile some pages as school starts to rev up and I must get back to my day job. However, no more than a week shall be missed, so hold tight and get ready to go from snail-slow character moments to high-octane action (well, a lot of running).